'How on earth did you piece together all this?' he asked in wonder. Mr Reeder shook his head sadly. 'I have that perversion,' he said. 'It is a terrible misfortune. I see evil in everything. I have the mind of a criminal.' 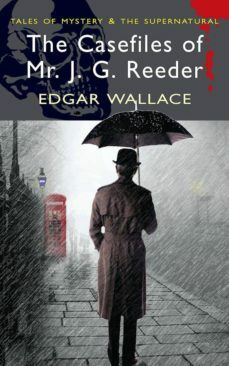 Let us introduce you to the enigmatic J. G. Reeder, a timid, gentle middle-aged man who carries a furled up umbrella and wears an old-fashioned flat-topped bowler hat. He is one of the great unsung sleuths of mystery fiction, created by the prolific Edgar Wallace, the 'King of Thrillers'. Despite his insignificant appearance, Reeder is a cold and ruthless detective who credits his success to his 'criminal mind' which allows him to solve a series of complex and audacious crimes and outwit the most cunning of villainous masterminds. This volume is a rich feast for crime fiction fans, containing the first three volumes in the Reeder canon: two novels, Room 13 and Terror Keep; and the classic collection of short stories, The Mind of J. G. Reeder.